1.Plainsong, 2. From The Edge Of The Deep Green Sea, 3. The Only One, 4. In Between Days, 5. Just Like Heaven, 6. Wrong Number, 7. Disintegration, 8. Freak Show, 9. Why Can't I Be You. 1.Shake Dog Shake, 2. Primary, 3. The Walk, 4. The Hanging Garden, 5. One Hundred years, 6. Give Me It, 7. A Forest, 8. Piggy In The Mirror, 9. Happy The Man, 10. Play For Today, 11. The Caterpillar, 12. 10:15 Saturday Night, 13. Killing An Arab. First things first, let me just say "WOW". This DVD is everything I was hoping it would be and alot more. Almost two hours of Pro-Shot footage makes for a well spent afternoon. The quality of the footage on this disc is perfect and well worth spending the time to watch. The first set of footage is taken from and Mtv Europe broadcast of the March 5, 2008 show in Valencia, Spain. It features the newly san-keyboard lineup of Simon Gallop (bs), Robert Smith (v, gtr), Jason Cooper (d) and Porl Thompsom (gtr). Although the band plays along with pre-recorded tracks on alot of songs this is still a leaner and meaner band for sure. Porl and Robert pick up more of the keyboard melodies on their guitars and in turn this makes the band rock a little bit more. It's a welcomed change as far as I'm concerned. This footage shows the band playing to a near sold out crowd of 25,000 diehard fans. It's a bummer Mtv didn't broadcast the entire show as it lasted over 2 hours. The tunes played but not broadcast were :Prayers For Rain, alt.end, The Blood, The Walk, The End Of The World, Lovesong, Pictures Of You, Lullaby, Please Project, Push, Friday I'm In Love, Primary, A Boy I Never Knew, Never Enough, One Hundred Years, Close To Me, Boys Don't Cry and A Forest. Next we get 3 songs from Paris, France on December 8, 1979 which is some of the earliest footage of the band. 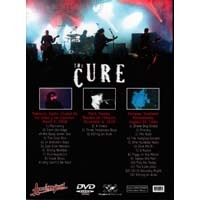 Here is The Cure as a 3 piece consisting of Robert Smith (v, gtr), Michael Dempsey (b, v), and Laurence Tolhurst (d). This is the Cure at their rawest. If you ever wanted to know where the band comes from then this footage should tell you everything you need to know. The last block of footage comes from Glasgow, Scotland on August 25, 1984. The lineup for this era was: Phil Thornally (b), Robert Smith (gtr,v), Laurence Tolhurst (k), Andy Anderson (d), Porl Thompson (gtr,sax,k). Up until I saw this footage I never knew that Laurence switched to keys from the drums. Interesting to say the least. This footage is slightly darker but is still very clean and near perfect. The band is very tight and puts on one hell of a performance. 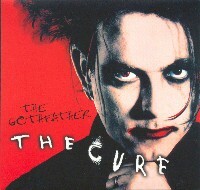 This is The Cure before their popularity exploded. This mix allows for every instrument to be heard perfectly and well balanced. This release is packaged in the typical gatefold packaging with colorful & moody pics of the band throughout their career. Many of the pics I've never seen before but the way they are displayed here is fantastic. 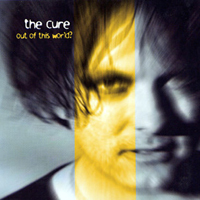 A.S. has done a grand job of making this release look as professional as anything The Cure has officialy released. Good Job A.S. 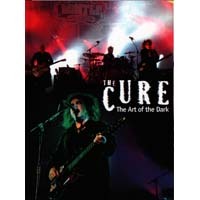 This release is sure to make any fan of The Cure exstatic and I'm sure it will garner some new fans of the band as well. Be sure to grab it.